It'd be nice if every day was a weekend day, but more often than not, IT'S A WORK DAY! 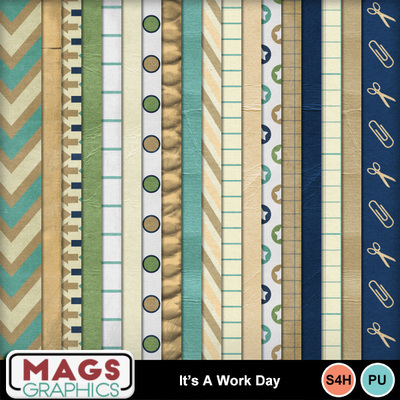 This office-themed collection is perfect for your business-themed layouts! This is the MAIN KIT. It contains 18 papers and 54 elements.